The oil derived from Black cumin seeds is proven to be rich in amazing medicinal effects. Its oil is found to be more potent than its seeds. 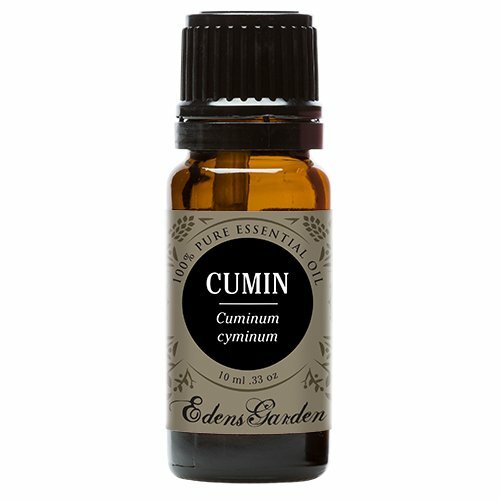 Cumin seed oil can be used as food to sustain the body's immune system. It is in the oil form that you can maximize its health benefits, such as antibacterial, antiflatulence, diuretic, purifier, muscle and nerve relaxant, and even for improvement of blood flow during monthly period. 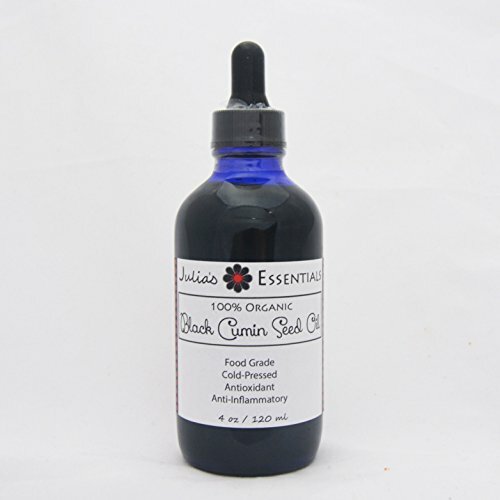 Black Cumin essential oil can be mixed well with Chamomile, Angelica, Coriander, and Caraway. Learn more about Black Cumin Essential Oil or find a great deal on the best selling Black Cumin Oil from the items below! 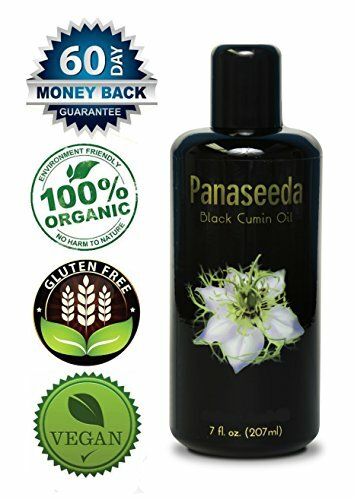 Black Seed Oil aka Black Cumin Oil Scientific name : Nigella sativa L. Extraction : Cold pressed, Virgin, Unrefined Black seed produces one of the healthiest oils on Earth. The prophet Muhammad was quoted as proclaiming "Black seed cures everything but death." Black seed contains a myriad of antioxidants including thymoquinone, an active component of black seed oil, is a central factor in the activation of our immune system. 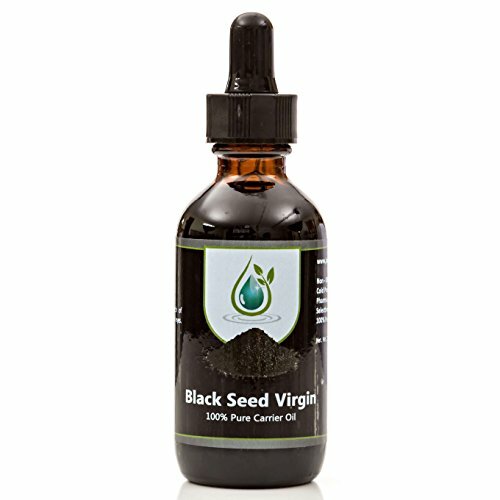 Virgin, unrefined, cold pressed black seed oil contains nearly one hundred beneficial ingredients, including essential amino acids, omega-3, Vitamin A (retinoids), and many more. Our black seed oil is cold pressed at temperatures below 100 degress F as to ensure a nonpareil oil. Black seed oil grows in Africa, the Middle East, and India. Studies have indicated the Indian variety is the most therapeutic of them all, this is the oil we carry. A HBNO favorite. Black seed oil is wonderful to incorporate in cosmetic applications, personal care formulations, soaps, as a daily moisturizer for the face or body, hair preparations, and as a dietary supplement. Discover the Power of Black Cumin Seed Oil! Black Cumin seeds, also known as Nigella Sativa - has been used to successfully keep people super healthy - for over 3,300 years, since their first reported discovery in Egyptian Pharoah Tutankhamun's tomb. Since 1964, there have been over 650 published studies (PubMed) involving black cumin - confirming what Middle Eastern and North African cultures have known for thousands of years. *Do you suffer from any of these? - Get colds or flus easily? - Digestive Issues, Acid Reflux? - Skin Issues? - Experience sinus and allergy symptoms? 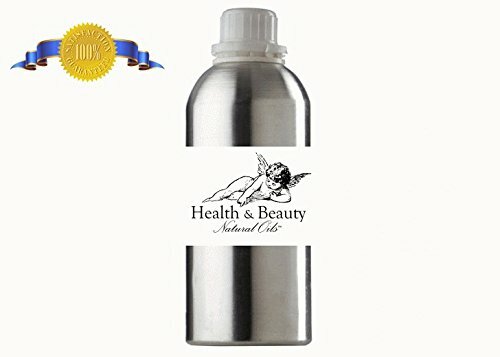 Experience the results you've been waiting for: - Boosts immune system - Revitalizes digestion and eases acid reflux - Improves hair growth - Enhances respiratory system by fighting allergies and sinus issues - Minimizes the appearance of wrinkles - Treats and softens your nails, cuticles and heels See Results or Your Money Back! Order now and be protected by Activation Products' "Try-It-Out-At-Our-Expense" customer satisfaction policy. Use our product and if you are not satisfied, simply contact us within 60 days and we will refund your money. We Sell Out Often. Get this Product While It's in Stock! Consider buying two or more for uninterrupted use! So, ADD TO CART now with the 5-star all-natural supplement product! Black seed produces one of the healthiest oils on Earth. "Black seed cures everything but death." Black seed contains a myriad of antioxidants, anti inflammatory, pain relieving, and antibacterial substances. Thymoquinone, an active component of black seed oil, is a central factor in the activation of our immune system. Virgin, unrefined, cold pressed black seed oil contains nearly one hundred beneficial ingredients, including essential amino acids, omega-3, Vitamin A (retinoids), and many more. Black seed oil is excellent for mouth ailments such as ulcers and inflamed gums. Swish the oil in your mouth for a couple of minutes and inflammation will decrease. Apply black seed oil to a burn and it will reduce the pain and heal rapidly. Black seed oil contains Nigellone, an ingredient which is anti-histamine, alleviating allergies in addition to bronchial ailments. The anti-inflammatory and anti-fungal properties make this oil an excellent remedy for a myriad of skin conditions and works to halt skin aging. Virgin black seed oil acts as a humectant, retaining water to promote a wrinkle free face. Our black seed oil is cold pressed at temperatures below 100 degress F as to ensure a nonpareil oil. Black seed oil grows in Africa, the Middle East, and India. Studies have indicated the Indian variety is the most therapeutic of them all, this is the oil we carry. Black seed oil is wonderful to incorporate in cosmetic applications, personal care formulations, soaps, as a daily moisturizer for the face or body, hair preparations, and as a dietary supplement. Disclaimer: The above statements have not been evaluated by the FDA This information is for educational purposes only, it is not intended to treat, cure, prevent or, diagnose any disease or condition. Nor is it intended to prescribe in any way. This information is for educational purposes only and may not be complete, nor may its data be accurate. 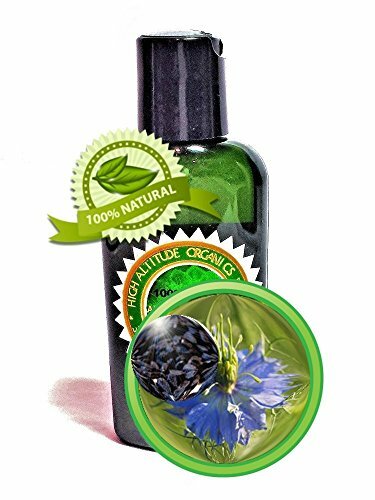 HIGH ALTITUDE ORGANICSTM Black Cumin Seed Oil, also known as Black Seed Oil (among other names) is cold-pressed from organic seeds of Nigella Sativa in Egypt without any chemical solvents. Black Cumin Oil is light amber in color with a characteristic herbaceous aroma. 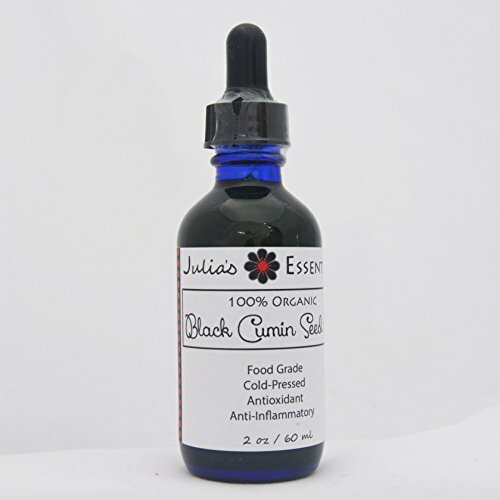 Black Cumin Oil has been used for centuries in traditional medicinal applications. Today, Black Cumin Oil known for its nutritive properties is used throughout the nutritional supplement and personal care industries for various applications. It is said that seeds of the black cumin plant could cure anything but death itself. While that may seem to be quite the tall order, black cumin (Nigella sativa) does in fact have remarkable healing and health properties that make it one of the most powerful medicinal plants known to man. This remarcable oil contains over 100 chemical compounds. In addition to the primary active ingredient- crystalline nigellone, black cumin seed oil contains: thymoquinone, beta sitosterol, myristic acid, palmitic acid, palmitoleic acid, stearic acid, oleic acid, linoleic acid, linolenic acid, arachidonic acid, protein, vitamin B1, vitamin B2, vitamin B3, folic acid, calcium, iron, copper, zinc, and phosphorous. 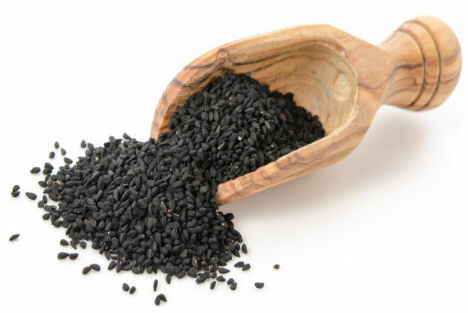 Black Cumin seeds contain 35% oil, most of which are Essential Fatty Acids (EFA's) and 21% protein. The EFA's like Linoleic Acid (LA) and Gamma-Linolenic Acid (GLA) acid help strengthen and maintain cell integrity, help heal skin conditions like acne, eczema, psoriasis, reduce wrinkles, and heal wounds. Applied topically, the oil encourages smooth skin and a radiant complexion...Enjoy... DIRECTIONS: Add up to 10% of the carrier oil for massage and to any creams and lotions, or use undiluted. Black Cumin Seed Oil contains Essential Fatty Acids. Applied topically the oil encourages smooth skin and a radiant complexion. EFA's help strengthen and maintain cell integrity, help clear skin conditions like acne, psoriasis, eczema, heal wounds, and reduce wrinkles.